In the Age of Corbyn, Conservatives must be unafraid to promote and defend their ideas in clear moral terms. Who dares to make the moral case for conservatism? The parties of the Left shamelessly portray themselves as virtuous warriors in the titanic struggle between altruistic socialism and selfish conservatism, and are adept at debating political issues using the language of morality and “social justice”. It comes naturally, never sounding forced or contrived – websites like the Huffington Post, Left Foot Forward and LabourList are full of earnest articles penned by young writers who take for granted that theirs is the only legitimate moral perspective on the world. Not so conservatives. We conservatives have tended to shy away from the moral discussion, afraid to set out our strongly-held beliefs in moral terms and preferring to focus on dry and often negative arguments about the risks posed by the Left. But by debating the issues on the Left’s terms and focusing on pragmatism above all else, we have largely ceded the moral high ground. In the new age of Jeremy Corbyn – when Labour is adopting genuinely left-wing policies – it is disturbing that Corbyn’s ideas are given the weight of moral imperative while right-wing rebuttals too often sound technocratic and uninspiring. One praiseworthy exception to this trend is Conservatives for Liberty, for whom I am honoured and pleased to write. 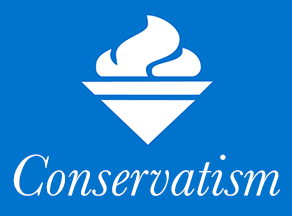 The excellent series of articles entitled “Why I am a Conservative“, give contributing writers and members a platform to explain their political worldview in terms far more exciting than the 2015 Conservative Party general election manifesto. My own submission is here, and like most others, my conservatism has nothing to do with a parsimonious insistence on balancing the budget just for the sake of it. On the contrary, as I wrote in my own “Why I am a Conservative” piece, I believe that “conservatism remains our last, best and only hope for building the just and prosperous society”. It’s not about what’s best for me and my wallet, as so many on the left seem to think – Conservative policies genuinely can offer the best hope and opportunity for everyone. It is encouraging now to witness others – perhaps finally tired of seeing old and discredited left-wing dogma packaged as the only moral option available to British voters – also starting to make the moral case for conservatism. ‘When the Left present an ideas based approach to the economy, an intellectual argument for socialism, coupled with the policies of Left-wing populism, I may not agree with any of it, but in the eyes of many, those arguments make the policies of the Right, based upon pragmatism and marginal adjustments seem extraordinarily weak. Well, the debate is certainly centre-stage now. But unfortunately, at present the party are fluffing it, having grown used to apologising for conservatism as a necessary evil rather than a positive vision over the years. David Cameron’s government was busy adopting left-wing ideas like the national living wage when Jeremy Corbyn was still a relatively obscure backbencher, and there are no grounds to hope that the party will tack Right now that Corbyn is Leader of the Opposition. Last month, I asked where is the Conservative Party’s own version of Jeremy Corbyn? Where is the right-wing MP who can make the case for individual liberty and restrictions on the state as passionately and convincingly as Corbyn was able to address those who attended his rallies in their thousands during the Labour leadership contest? I want a standard bearer for the Right who actually makes me feel excited, not resigned, when I enter the polling booth. With the growing prominence of Conservatives for Liberty and the increasing number of conservative and libertarian commentators who have had enough of ceding the moral high ground to the virtue-signalling forces of the Left, there are some early promising signs that Labour’s claim to be the moral conscience of Britain may be drawing to a close. But there is still much work to be done, many misunderstandings and misgivings about conservatism to be tackled and overcome. We commentators can play our part, but ultimately it will take bold voices from within Westminster to also make the moral case for conservatism if we are to successfully change the conversation and convince a still-sceptical public that conservatism and capitalism are anything more than the least-worst option for Britain. At long last, the Left have an ideological champion in Jeremy Corbyn, and now conservatives deserve the same. Who will rise to the challenge? Samuel Hooper is a journalist and blogger, passionate about politics, free markets, civil liberties. 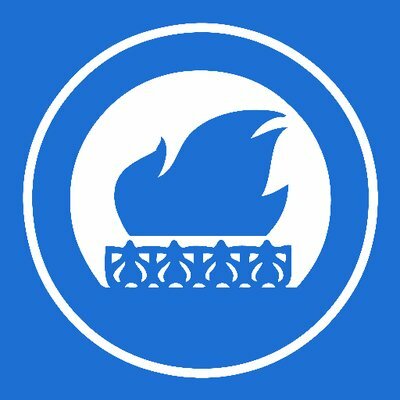 Follow him on Twitter here.